Work It Out empowers girls to navigate the conflict in their lives by developing empathy for others and understanding the consequences of hurtful behavior. A girl who has completed Work It Out respects her friends and peers, stands up for herself and others, resolves conflict constructively, communicates her feelings without bringing others down, trusts and supports her friends, and never resorts to bullying. Preventing Adolescent Pregnancy (PAP) equips girls with the skills and knowledge they need to navigate social pressures regarding sexuality, seek out healthy relationships with partners, and avoid unwanted pregnancies and sexually transmitted diseases. A girl who has completed PAP respects her body, understands the basic facts about puberty and development, values medically accurate information, sets and sticks to boundaries in relationships, respects her family’s values, and knows that having a baby at a young age will interfere with her goals. By exploring a wide range of financial issues, Economic Literacy builds self-reliance for girls as they embrace the knowledge that they are in control of their financial future. A girl who has completed Economic Literacy manages her money with confidence, understands budgeting, interest, financing, and loans, recognizes the importance of philanthropy, separates needs from wants, and sets career and financial goals. Operation SMART (Science, Math and Relevant Technology) empowers girls to explore science, technology, engineering, and math fields by engaging them in relevant, interesting activities to discover the world around them. A girl who has completed Operation SMART is not afraid to pursue male-dominated careers, explores her interests in science, technology, engineering, and math, uses logic to solve problems, and does not believe in glass ceilings. By matching girls with professional female mentors, Lunch Bunch empowers girls to explore a variety of interesting careers and set their own educational and career goals. A girl who has completed a Lunch Bunch program forms educational and career goals, identifies steps to reach those goals, acknowledges obstacles she might face and knows how to overcome them, seeks advice from professional women and mentors, and pursues her passions. Redefining Beauty builds self-esteem and self-confidence in girls by confronting body image stereotypes. A girl who has completed Redefining Beauty knows she is beautiful inside and out, breaks down body image stereotypes, makes healthy decisions, knows her body is a resource not an object, and distinguishes between unrealistic and realistic images of women in the media. Girls Inc. Media Literacy uses hands-on activities to strengthen girls’ awareness of the scope and power of the media and the effects of media messages on girls and women. Girls are empowered to craft their own messages and to explore media careers. A girl who has completed Media Literacy recognizes the influence of media in her life, dispels media gender stereotypes, views advertising with a critical eye, explores media as a career, and engages with media wisely. 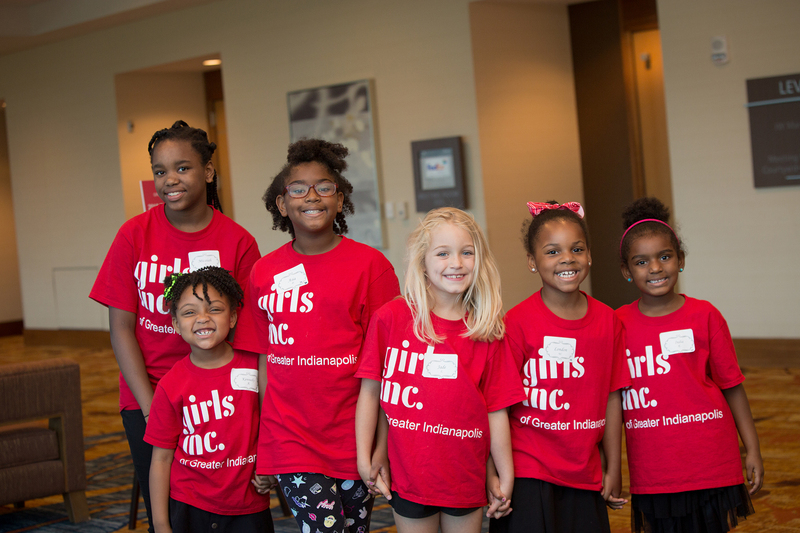 Girls Inc. Project BOLD helps girls identify resources and people to increase their personal safety, while providing basic self-defense techniques. This violence-prevention program provides a safe environment for girls to ask questions, get answers, and feel supported. A girl who has completed Project BOLD ensures her personal safety, avoids harmful situations, practices various self-defense techniques, tells an adult when she feels unsafe, advocates against violence in her community, and uses resources and knowledge to stay safe.